HTC Desire HD Benchmark Blows away Nexus One, ROM Dumped Online Also! Desire HD Faster than Nexus One? The HTC Desire HD hasn't even hit the market yet and already it's picking up a lot of buzz. According to Quadrant benchmark scores this upcoming smart phone has already blew the Nexus One out the water. This speed is credited to the DHD's Qualcomm Snapdragon 8255 silicon processor. This powerful device scored almost a 2,000 on the Quadrant benchmark. This is really impressive considering the Nexus One was known to be one of the fastest Android phones available. 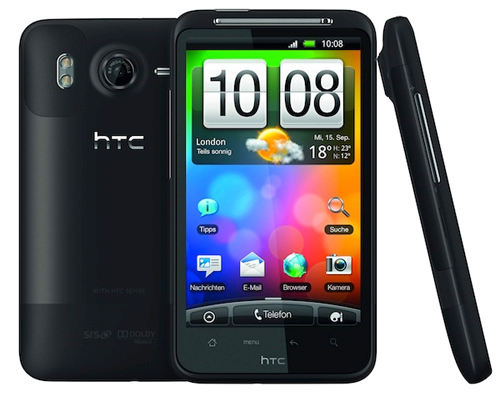 Good news for you HTC HD2 owners the HTC Desire HD's 2.2 Froyo ROM has already been dumped online. The guys at XDA are already working to get this ROM up and running on the HTC HD2. If you head over to XDA there is a HD Desire beta ROM out for testing. Here is a link to the beta ROM. Below is a link of a video with the HTC HD2 runing the HTC Desire HD ROM. This video shows some of the progress already made with the Rom.